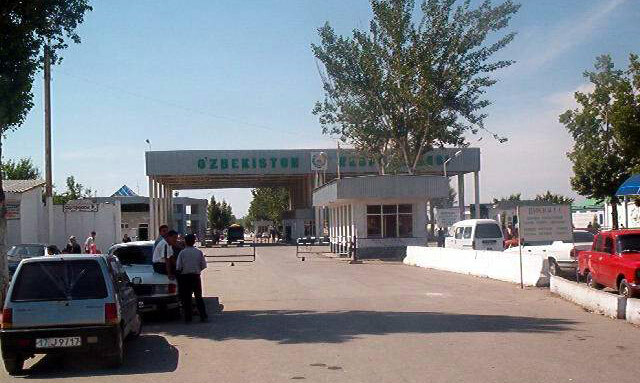 The Kyrgyz-Uzbek border is 1,295 kilometers long. 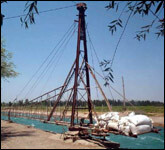 Most border districts on both sides are located in the Ferghana valley populated by the two peoples since the time immemorial. 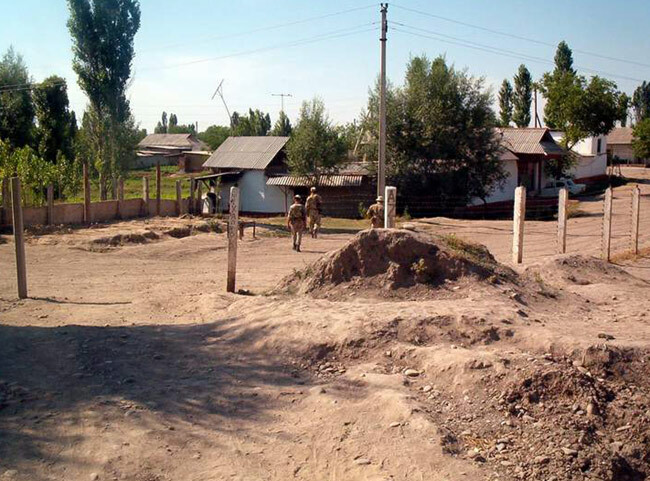 Here is the photo report of Alisher Saipov - a look from Kyrgyzstan on the border between the two sovereign states. 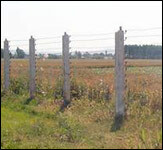 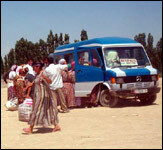 The Ferghana valley is regarded as a zone of potential conflicts. 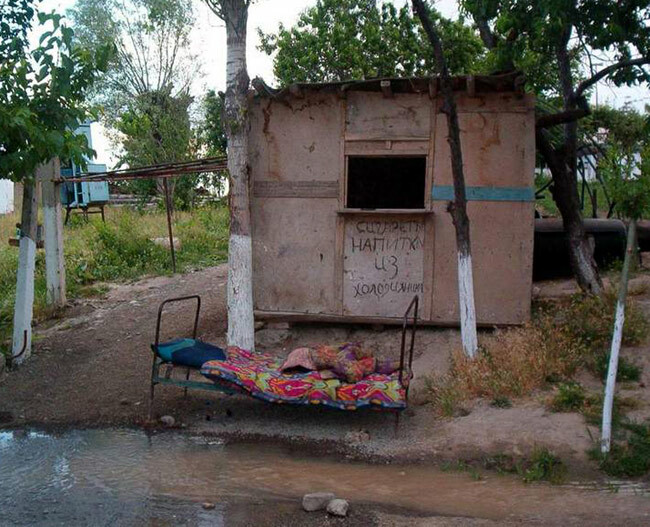 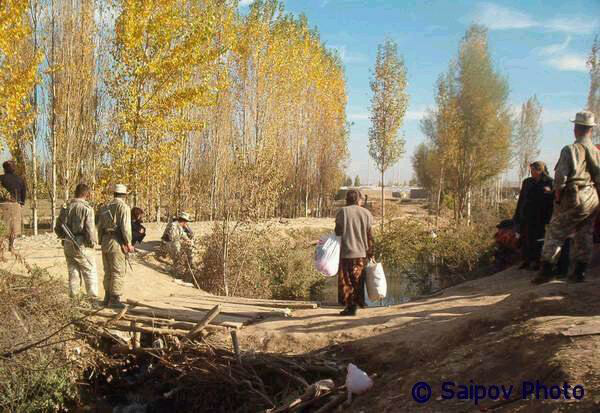 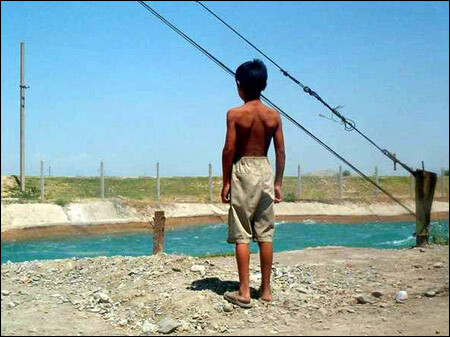 Residents of the valley located on the territories of Tajikistan, Uzbekistan, and Kyrgyzstan face common problems: shortage of arable lands, ecological calamities, unemployment. 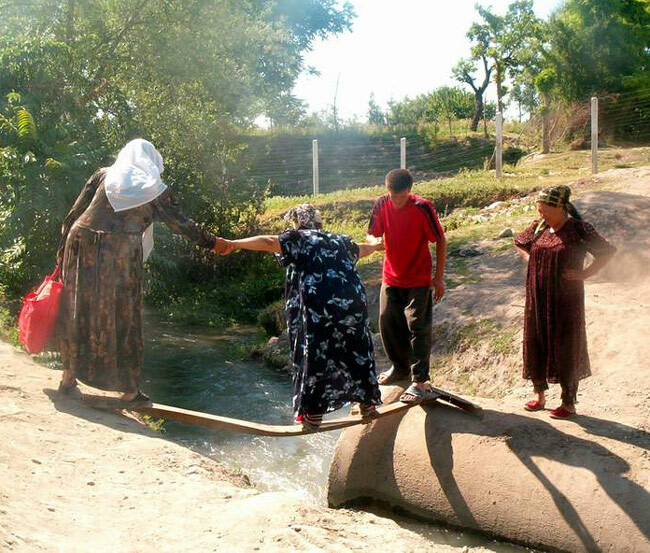 This is what breeds ethnic clashes - like the water wars between residents of Uzbek, Tajik, and Kyrgyz villages in the early 1990's. 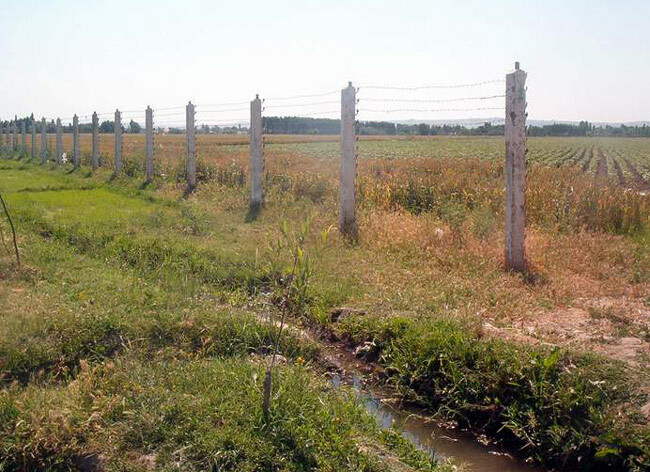 Presence of new borders that did not exist here 15 years ago only aggravates the problems. 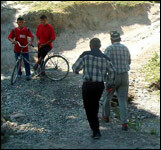 Kyrgyzes and Uzbeks lived in the Ferghana valley without any borders for generations. 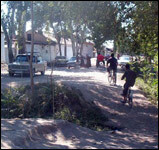 They never imagined that the borders between new countries would run literally through homes and yards. 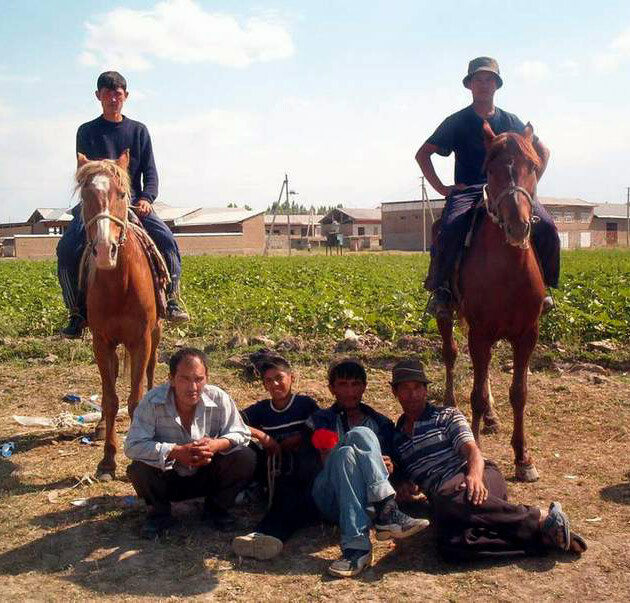 Even tending herds in the border districts of Kyrgyzstan and Uzbekistan requires a lot of certificates from the authorities. 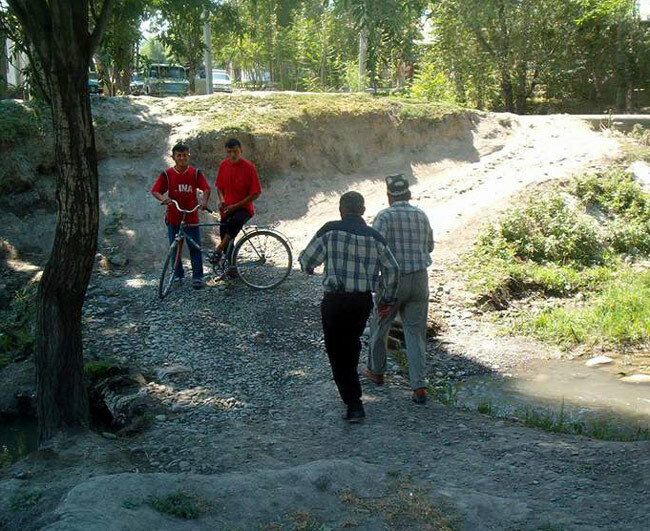 Problems are not always solved without conflicts. 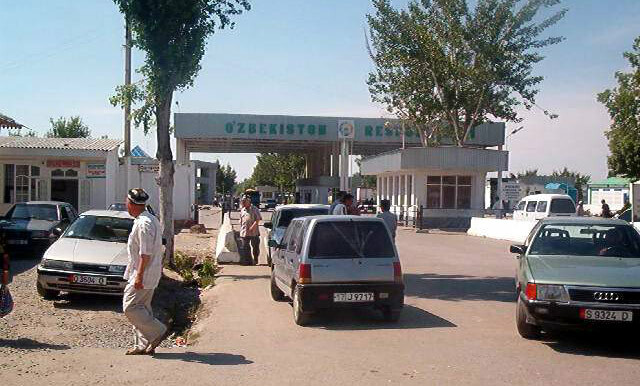 Photos 1, 2, 3: Dostuk - Dostlik [it stands for Friendship in Uzbek and Kyrgyz] checkpoint near the town of Osh, Kyrgyzstan. 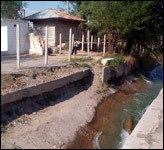 The photos were taken from the territory of Kyrgyzstan. 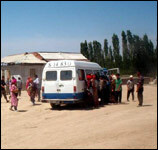 Thousands cross the checkpoint every day. 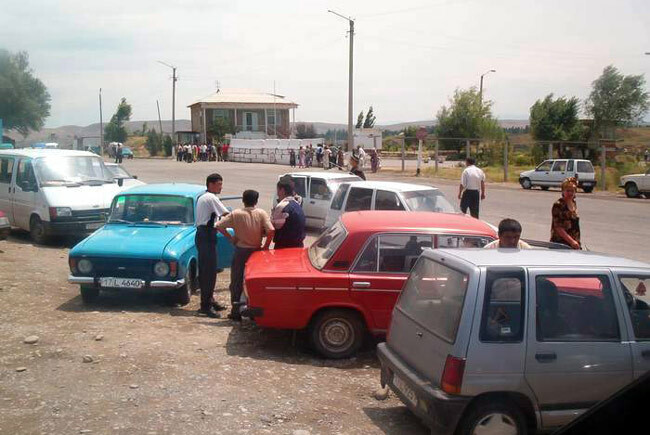 Uzbek and Kyrgyz cabbies wait for their fares on the neutral territory. 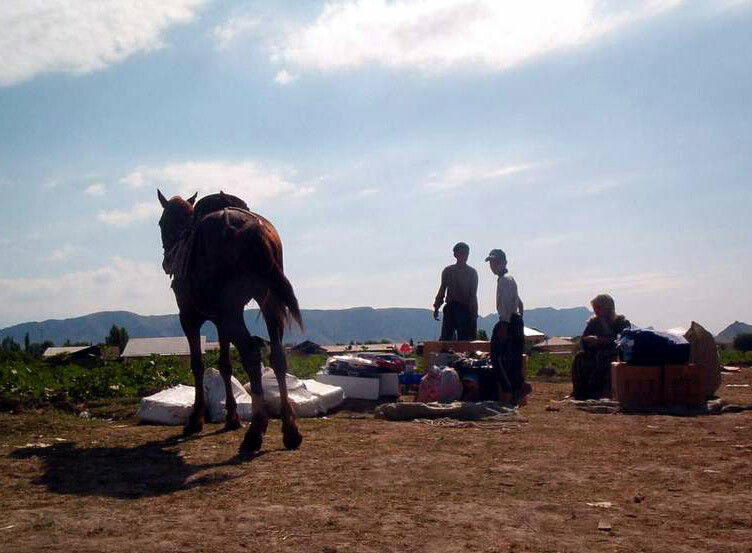 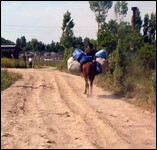 Photo 4: the Kyrgyzes sell petroleum smuggled out of Uzbekistan not far from the checkpoint. 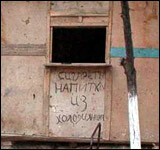 Photo 5: an improvised duty-free supermarket. 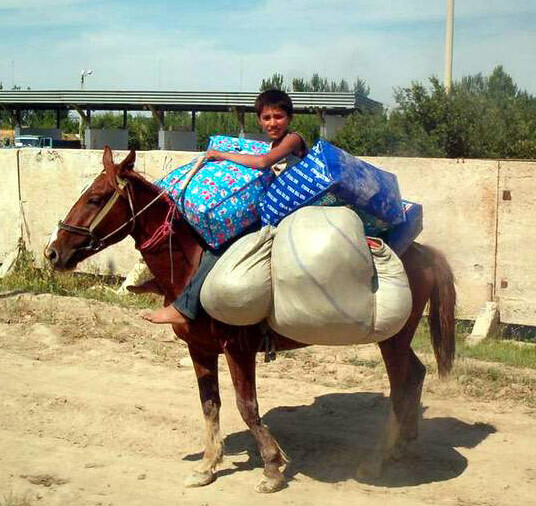 Young men on Photos 6 to 10 ship the goods for Uzbek vendors bound for Osh and Kara-Su bypassing the checkpoint. 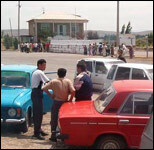 Passing through the checkpoint is costly - one is bound to pay a substantial bribe or see his or her goods confiscated altogether. 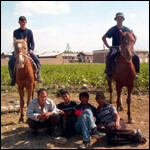 Mounted men know all secret paths across the border. 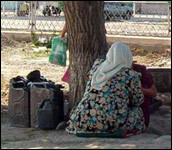 This is how they earn their daily bread. 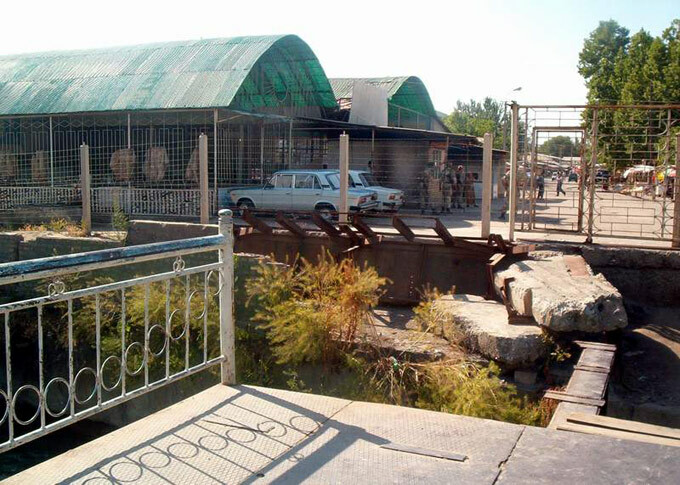 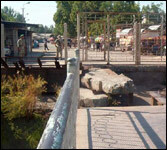 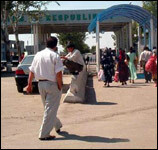 Photos 11 and 12: Uzbek vendors or citizens return to their country - bypassing the checkpoint again. 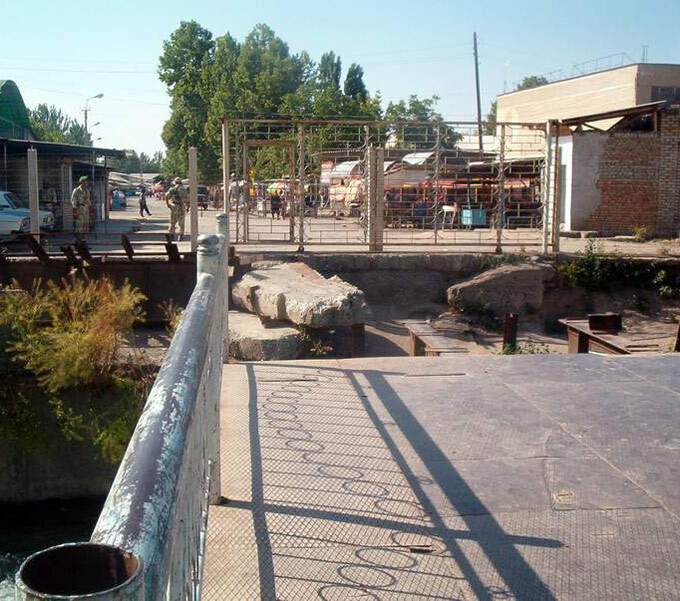 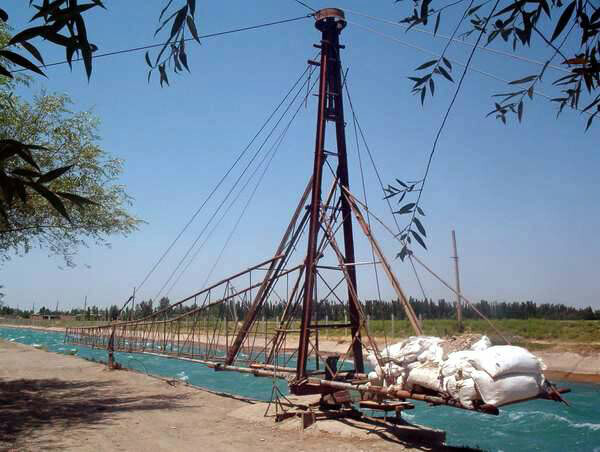 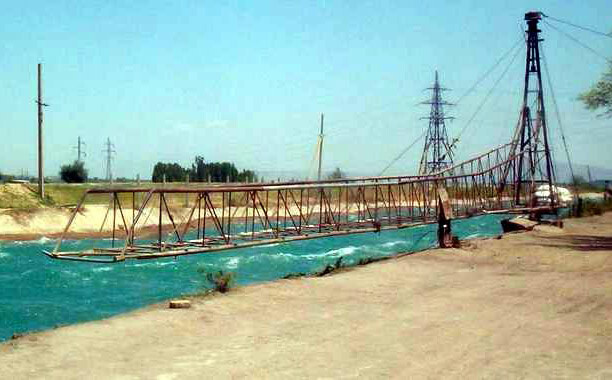 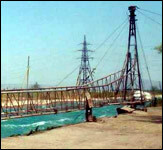 Photos 13 to 15: the bridges that used to connect Kyrgyz Kara-Su and Uzbek Khanabad were destroyed on the order from the Uzbek authorities two years ago. 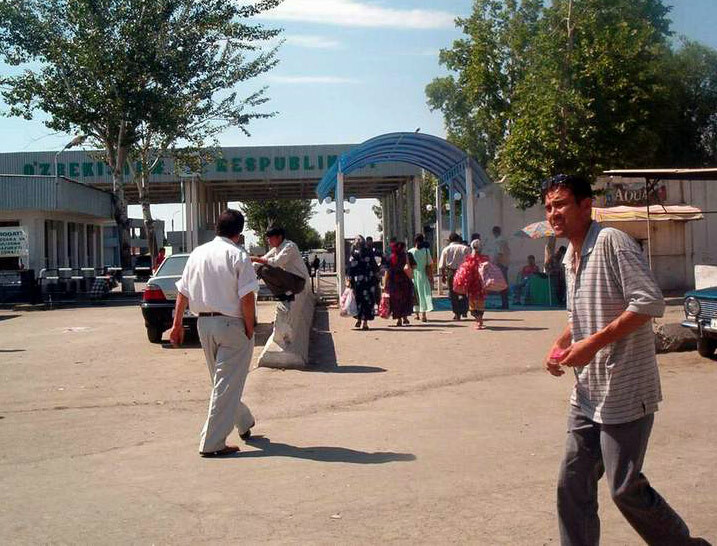 Uzbek border guards shot Adyl Urkumbayev exactly a year ago (see the article in Ferghana.Ru news). 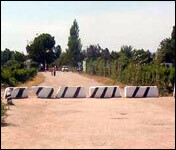 He refused to bribe soldiers. 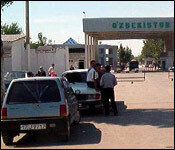 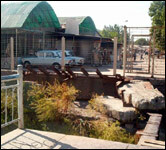 Urkumbayev had shipped goods for Uzbek vendors. 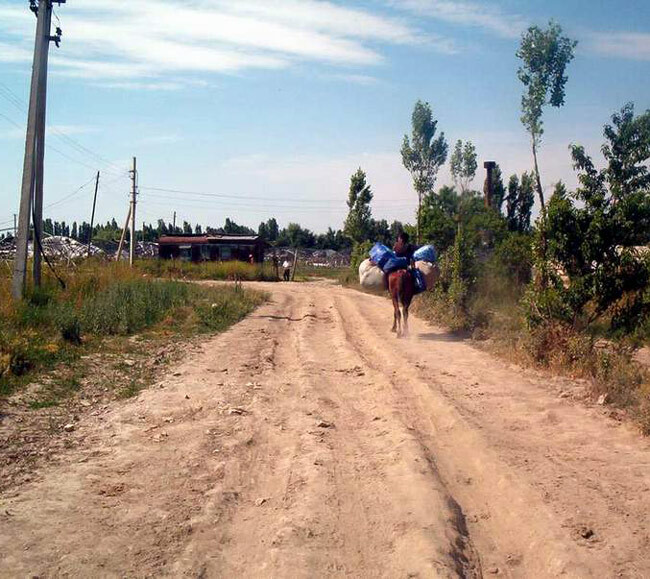 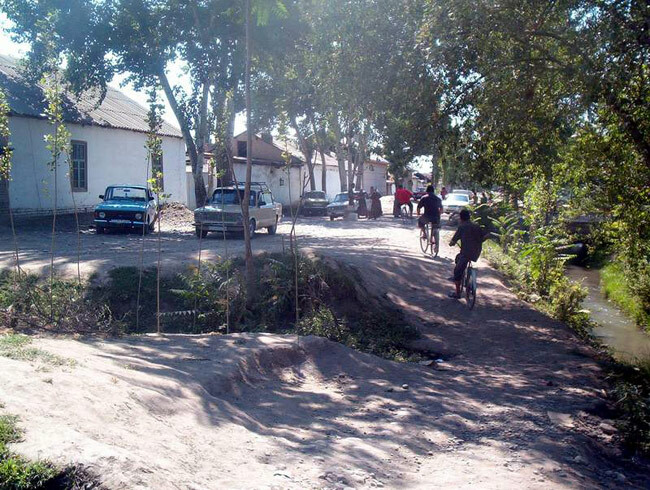 Photo 19, 20: Kesken-Yer checkpoint near Kara-Su, the Uzbek side. 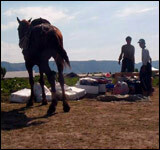 Another photo. 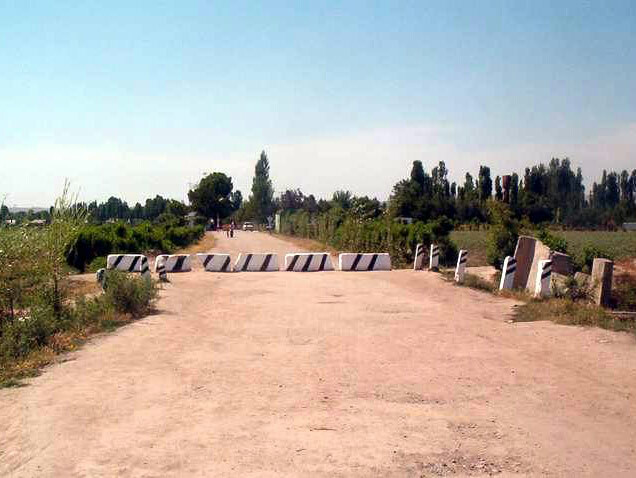 The road near Chegara checkpoint. 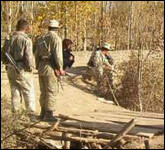 Border guards demand 2,000 to 50,000 sums from everybody - regardless of whether he or she carries anything. 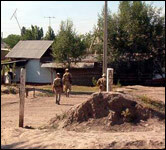 The photo was taken in the autumn 2003. 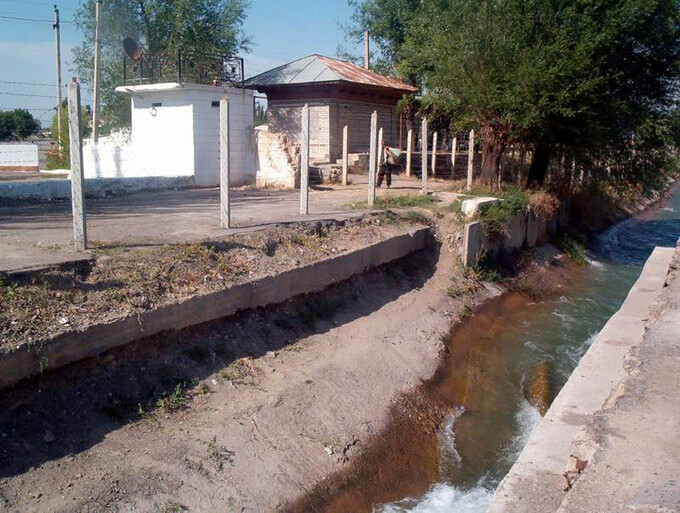 Another photo shows parts of the Aravan district, Osh region of Kyrgyzstan and Markhmamat district, Andizhan region of Uzbekistan. 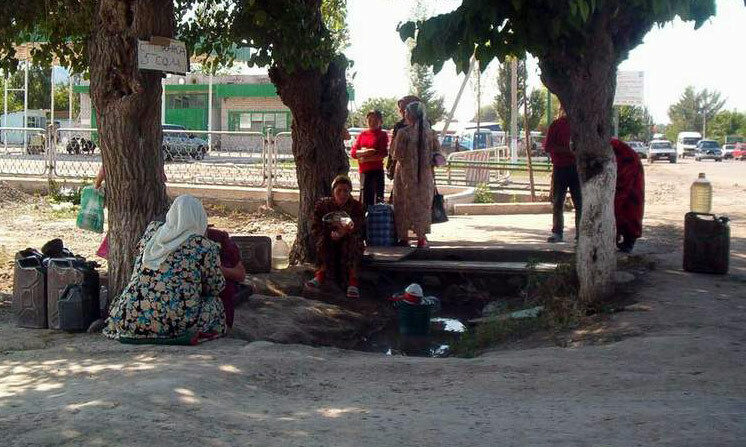 All photos were taken by Alisher Saipov, an Uzbek living in Kyrgyzstan. 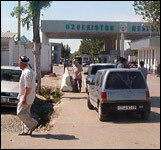 He is a journalist and correspondent of the Uzbek service of Voice of America in Central Asia.